The notion of the existence of tens of thousands of sealed indictments has been the buzz of numerous alternative online communities. Independent researchers and curious truth-seekers alike have frequented this narrative for nearly a year's time, and the enthusiasm surrounding this topic only continues to build. 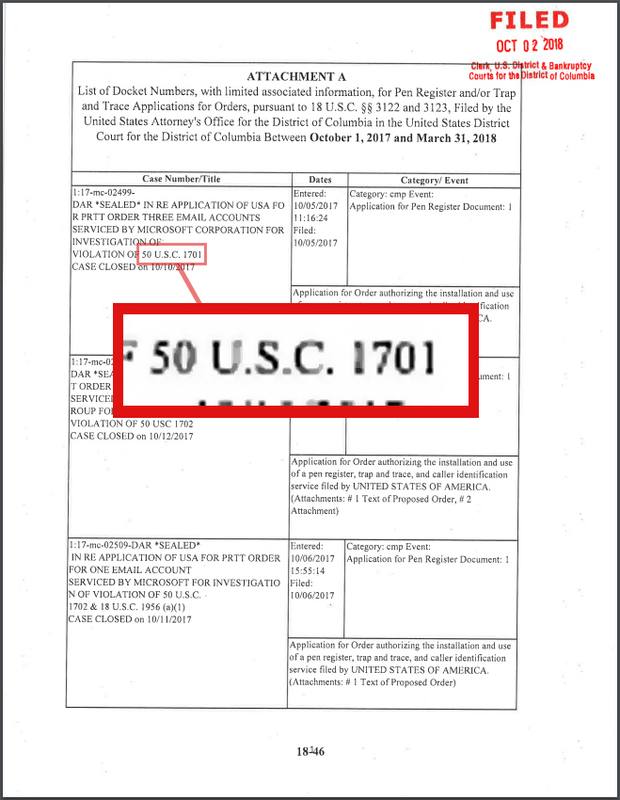 To the surprise of many, this subject of sealed indictments being filed away in multiple U.S. courts was actually covered by the mainstream media. However, as expected, the latest MSM report from ABC News attempted to spin the story toward the advantage of the Deep State. Instead of doing a proper job of journalism, these reports only discussed the indictments which might affect Washington D.C.—delivering half-truths about these indictments to their audience in place of a full story. This ABC report also attempted to claim that these indictments were a direct result of the Muller investigation into the worn-out conspiracy theory of "Russian collusion." Yet when we look at the truth of the legal situation in the U.S., we see that the tens of thousands of indictments exist within major courts throughout the entire country and not simply in Washington D.C. This goes to show us how unreliable and dishonest the corporate media has become in recent years, and reveals one of the many reasons why millions of Americans are now turning to alternative media instead. Despite the predictable political bias of the corporate media, the reality of the coming prosecutions has been increasingly evident over time. 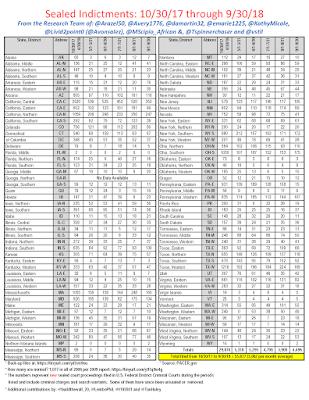 From the progressive updates from the website, Pacer.gov, we can see clearly how voluminous the collection of sealed indictments has become (now upwards of 60,000, according to sources). In fact, now, as of October 2nd of this year, we have yet another exhibit to add to our body of evidence. This item further reveals the fact that a growing case along with impending legal and likely military actions against the Deep State/Cabal could be only weeks away. Adding to the massive mountain of accumulated evidence, we have yet another sign of impending indictments against the criminal Cabal. This confirmation comes directly from the United States District Court in Washington D.C.
See also - 514th Military Police Company Deployed to Guantanamo Bay; Does This Spell Military Tribunals for the Cabal in the Near Future? 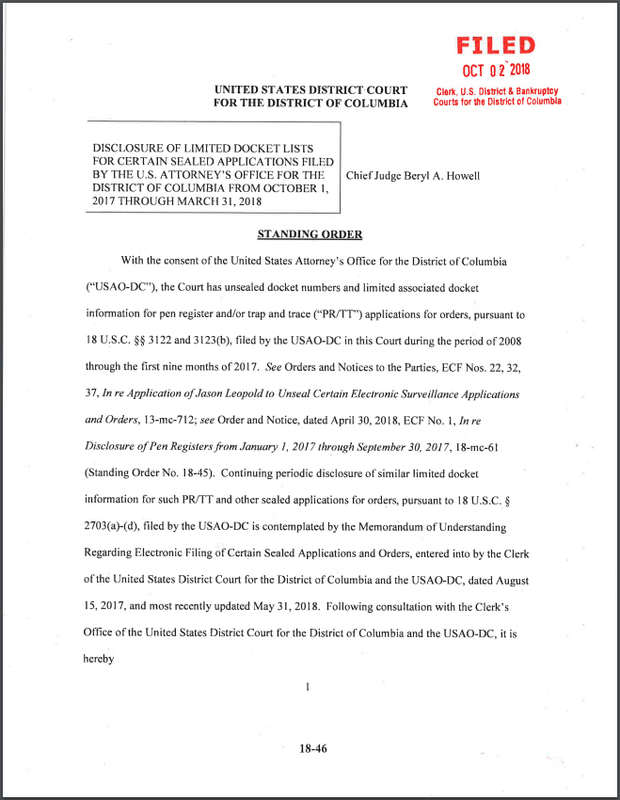 On October 2nd, a docket list from the D.C. District Court was unsealed and released to the public through official sources. This list boasted revealing details about the impending indictments soon to be served in the U.S. (though most of these are still under sealed status as of the writing of this article). The report along with its lengthy and yet extremely implicit attachments can be seen below. At first glance, this report and the corresponding attachments may seem somewhat dry in comparison to the extensive detail we might expect. However, once we research the definitions hidden within this disclosure as well as the massive implications of this release, we will see just how excessively revealing this release truly is. Before going further, let's define an important term from the above document. This is the method known as trap and trace. Here is the basic definition of the term from Cornell University. Trap and trace - A device or process that records the sources of incoming signals to a specific phone or computer. Often used by law enforcement as the advanced counterpart of Caller ID. A trap and trace device identifies the phone numbers or Internet addresses of incoming signals, but does not include substantive information transmitted by those signals. There are many possibilities behind the use of these trap and trace methods of investigators in evidence gathering. In my view, it would make more sense that these methods were chosen by authorities to allow them to monitor the communications of various suspects of high crimes. We might imagine that the hundreds to thousands of Cabal criminals in the U.S. and around the world would be the main targets of these trap and trace operations. Yet when considering these methods, we may wonder just why authorities would choose to respect the Constitution so carefully when the U.S. establishment has become fairly well-known for its tendency to ignore human rights. To add, we would expect the NSA to already have a thorough handle on the public figures (politicians, CEOs, bankers, etc.) who might be involved in high crimes as well as the details of those crimes, the methods used to commit them, and the various other details surrounding these crimes. This NSA data could easily provide all of the information authorities would need to prosecute every government and corporate official involved in these alleged high crimes. Yet again, for some reason, the powers behind these latest investigations appear to hold the Constitution in high regard. If the authorities behind these sealed indictments wanted to operate in a way that was completely legal, and they intended to remain above reproach, this may serve them in the long run. By maintaining such exemplary standards, these sound and legal methods could remove any grounds for contest by the defendants in court when the suspects incriminated attempt to find reason to have evidence acquired by these operations thrown out. 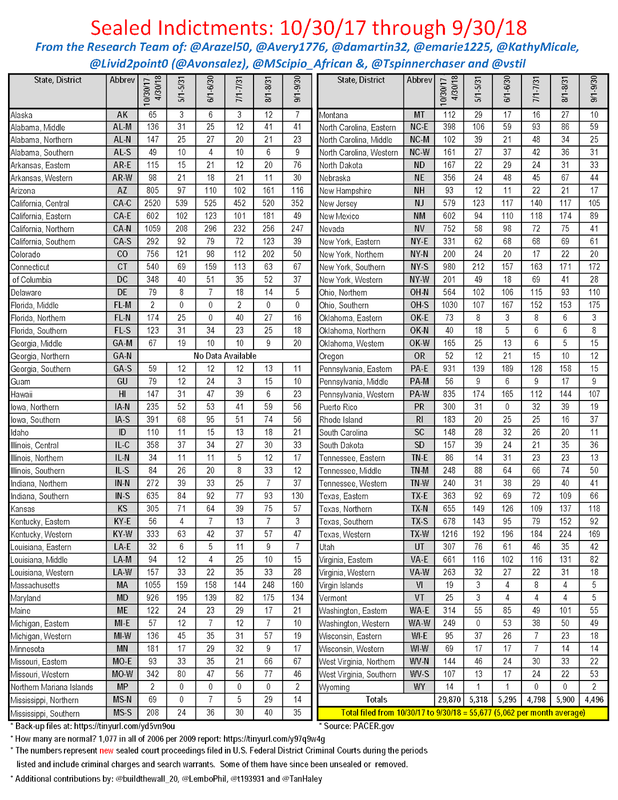 If authorities behind these sealed indictments are operating under constitutional law and they are taking their time in building a solid case, this says a lot. This prudent and thorough method shows that the Alliance that is allegedly behind these operations not only intends to reinstate constitutional law, but that they intend to make no mistakes in their process. They are most likely being meticulous with their methods so that there is no room for reversal and no chance for Cabal criminals to legally escape once these indictments are served. Much like the main portion of this unsealed document, the attachments to the disclosure seem to be insubstantial in nature. However, as we examine these documents more closely, we will realize that they are far more significant than initial impressions reveal. Within each attachment (listed as Attachments A, B, and C), we will see several legal codes included within the text. These codes appear to be intended to point us toward researching the meanings and implications of each respective code. So this is what we are going to do. (except for Attachment C, in which codes are located in the right column). By all appearances, the trap and trace methods discussed above were intended to execute surveillance over the communications of those suspected of certain crimes. We might reemphasize the fact that due to the excessive secrecy of the recent indictment process, those who are to be prosecuted will likely be very high-profile suspects. As stated, these docket attachments are extremely descriptive in their content, and if they are effective in either civil or military courts, their significance could very likely renew freedom and justice within the United States. If these legal proceedings are allowed to progress according to written code, they could actually have a global impact in their ability to eliminate Cabal control wherever it remains on the planet. However, these possibilities do not carry much weight until we delve into the finer details of these codes to see how they might assist in the final prosecution and sentencing of Cabal criminals. Let's take a look at these legal codes. 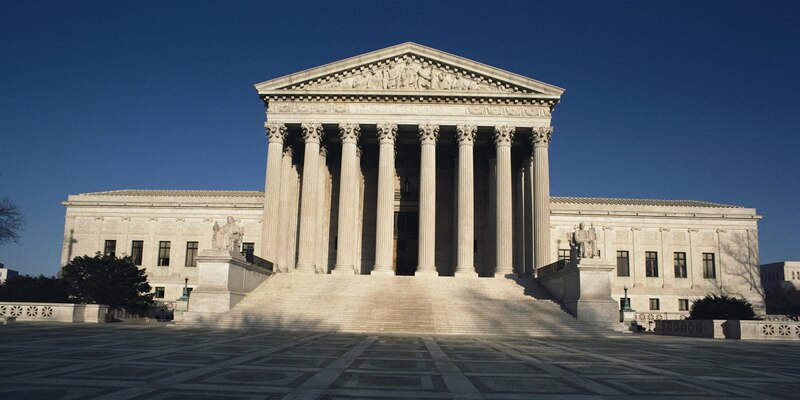 If we know anything about the United States legal code, we will know that this code is part of a legal structure which—under ideal circumstances—functions as the foundation of the American legal system. There are literally thousands of these codes, each having their own purpose and application. Such codes actually serve as the basis for every criminal court case we hear about in news reports. For those who may be unfamiliar with the concept of legal documentation, this discourse may be particularly educational for you, though there may be somewhat of a learning curve. Those who are familiar with legal codes may already know the implications of the disclosure of the D.C. District Court. 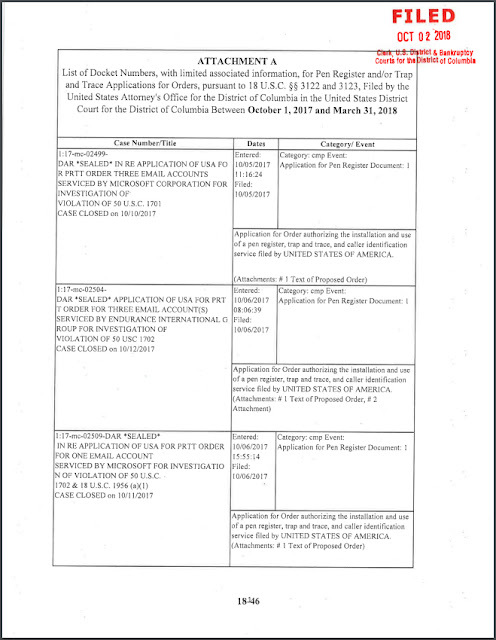 Considering just how many legal codes are listed within the docket attachments, it would not be very practical to attempt to include all of them in one blog post. That article would be extremely long and fairly tedious to read. Instead, we will cover here, a few of the more poignant and telling codes which may help to prove the numerous crimes that may soon be brought against the criminal Cabal. We will start with one that is largely familiar to many of us. This legal code bestows the president with the power to execute any number of actions in the efforts to remedy any national emergency following the announcement of said emergency. There are various stipulations defining what a national emergency is and granted all qualifications are met, the state of emergency allows the president and their designees the ability to take action both domestically and abroad in order to bring the declared emergency to an end. Thus far, we have seen President Trump declare emergencies in the face of (alleged) natural disasters such as hurricanes in the Carolinas and Florida and the fires in California. We may also remember such declarations of the opioid epidemic as a national health emergency, which is a fairly bold move, considering how dangerous Big Pharma appears to be for those who oppose them. There have also been instances when President Trump did not necessarily declare official emergencies but did hint at certain situations a being dire in nature and in need of immediate attention. The alleged migrant caravan—which many believe to be an attempted invasion fueled by a Globalist agenda—was declared an emergency in a number of words. It could also be argued that President Trump declared fake news and the compromised media to be the enemy of the American people along with questionable vaccines and the Federal Reserve. Legally speaking, it could be argued that even though official emergencies have not been declared for all of the above situations, the fact that the president has openly expressed concern about them may be the equivalent of such declarations. To add, if the corporate media has assumed the role of enemy combatants and they have habitually refused to report the truth, then more subtle means of communication—such as those we've seen above—may be required rather than official declarations of emergency. This subtle communication might be especially warranted if the corrupt media itself was the focus of the declared emergency. It would also be unwise to officially declare that the FED or vaccine manufacturers are enemies of the people. Rather, a more subtle means of insinuating these announcements would be more prudent considering the difficulties of our present media situation. We will discuss more about the corruption of the corporate media later on. For now, let's continue our discussion of presidential authorities during times of emergency. 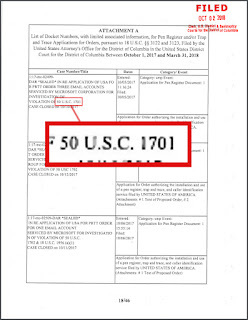 The next legal code relates directly with Code 1701 and reveals further powers a United States president has at his disposal during these emergent times. (B) investigate, block during the pendency of an investigation, regulate, direct and compel, nullify, void, prevent or prohibit, any acquisition, holding, withholding, use, transfer, withdrawal, transportation, importation or exportation of, or dealing in, or exercising any right, power, or privilege with respect to, or transactions involving, any property in which any foreign country or a national thereof has any interest by any person, or with respect to any property, subject to the jurisdiction of the United States; and. The meaning behind this code seems to be self-explanatory for the most part. In short, during times of war, armed conflict, or any type of emergency, the president is given the power to investigate and regulate the actions and transactions—financial or otherwise—of any party found to be involved with interest that oppose the United States. The president is also granted the ability to either take control of the assets and/or funds of suspected enemy combatants, and he may designate the use of these funds in such a way that will benefit those affected by the declared crisis or emergency in order to solve the issue as a whole. The president has the power to create laws, standards, and regulations in order to exercise control and maintain order during these times of conflict. (This is with the restriction of the initial reasoning for the declaration of emergency or armed conflict, according to my understanding.) With these standards in mind, we might question why these laws have been referenced in the recent disclosure listed above. There are actually a good number of possibilities which may explain these inclusions. If we consider the situations above, the numerous issue addressed by the president over these past two years (and some months) may begin to make more sense. We might think of issues such as pharmaceutical corruption, drug trafficking, the compromised (and in many cases, criminally corrupt) mainstream media, and the parasitic practices of the Federal Reserve. We might also consider the massive epidemic of international child and human trafficking and many of the other problems which President Trump has spoken and tweeted about over recent years. Granted our discussion thus far holds true, we may understand the significance of what the president may have been attempting to communicate through these statements. Thanks to the MSM's campaign of shameless propaganda, distortion, and division of the people, the truth about our past and present situation is extremely difficult to come by. Ideally, when attempting to gain knowledge of any situation which affects a society, it is important to have a media establishment which values truth and accuracy above all else. Yet what we have instead is a financially and politically compromised collection of media manipulators who seem hell-bent upon sabotaging the country and the president regardless of the consequences. We may note the fact that this media corruption existed long before President Trump took office. The reality of media compromise is nothing new, and the fact that so many who claim to be aware of our global situation still trust this corrupt media is fairly alarming, in my view. The corporate media appears to have taken every step to ensure that the American public knows little to nothing of the truth of our societal and global situation. Additionally, thanks to the collective choice of the people to forgo their due diligence of critical thinking, much of the public commonly defaults to any narrative the MSM hands them—all the while the ruling elite/old guard are reportedly doing everything they can to regain the power they lost upon the election of President Trump. 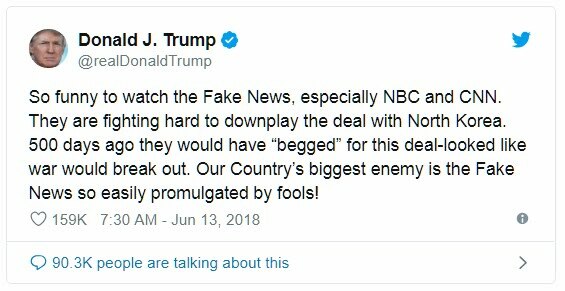 The compromised media would have us believe that the current president is the one and only problem that has ever and will ever exist in the world. These MSM propagandists have actively encouraged the American public to forget everything about world history and to only fixate upon one simple-minded narrative. "Hitler is bad. Trump is Hitler. Therefore, Trump is bad." 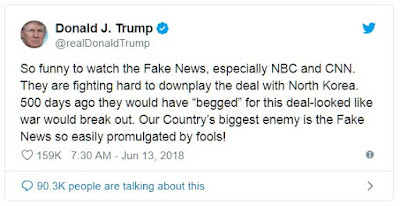 The apparent and deliberate effort by corporate media to brainwash the American people has been largely effective, leading to a volatile situation in which effective communication between the president and the people has been all but completely halted. Yet according to numerous sources, it is because of this communication breakdown that alternative methods of presidential address have been employed. In the face of seemingly endless deception and propaganda, a solution was needed to bridge the divide between the president and his Alliance allies with the general public. According to numerous sources, this is exactly why the president and key officials chose to use platforms such as Twitter, 4Chan, and 8Chan to communicate with the public. If this is true, it would explain why the compromised media along with many questionable political parties and news commentators ridiculed nearly every statement the president made through Twitter and other platforms. When we realize how much energy the corporate media and various (allegedly) corrupt public officials have devoted to attacking the president for every word he says and every action he takes, and then compare that seemingly compulsory criticism with the endless campaign to discredit Q Anon, we may come to a realization. The compromised media and the elitists behind it are terrified of Q as well as President Trump. The fact that so much key intelligence has been suggested so often by Q Anon makes it highly likely in the eyes of thousands that Q is legitimate. If this is true, it means that this iconic 8Chan poster is one of the only major sources of real and candid disclosure from an apparently official origin. It also means that the old guard establishment is terrified of Q, most likely because they know they can neither discredit it nor control it. In all of this, we may realize yet another confirmation between Q Anon and recent official developments. Consider for a moment, the fact that every one of the legal codes referenced in the recent District Court disclosure has been discussed by Q Anon. Additionally, we might note that nearly every one of the emergency situations which President Trump has addressed over the past two years (whether directly or indirectly) has also been discussed by these two sources. By all appearances, this reveals a clear correlation between all three of these sources and even suggests that the powers behind them are working together to address each one of these issues. Though the president has only been able to subtly suggest these recent developments, we may realize that all of the issues we have mentioned thus far may be very close to being directly addressed. As we may remember, the recent disclosures of legal concepts similar to these have come from a variety of sources. However, the mainstream media has been all but completely silent about these legal matters altogether. Due to the heavy compromise of the MSM by corporate corruption, there has been little to no ability of actual justice to speak through corporate media channels without having the intended messages excessively distorted or completely censored altogether. It has been due to the active and provably organized media corruption that various communications regarding the necessity of the above legal actions be done through subtle means, and as we can see, this subtlety has been used quite constantly. For example, we may remember the interesting and largely historic conversation between Senator Lindsey Graham and (now) Justice Brett Kavanaugh during Kavanaugh's confirmation hearing. According to multiple sources, this conversation was historic in that the subject of military tribunals has never been discussed during the confirmation of a Supreme Court justice. The discussion was unheard-of and according to the response, the conversation did not go unnoticed. Immediately following the airing of this exchange between Graham and Kavanaugh, independent researchers began speculating about its implications. These researchers suggested that this conversation telegraphed the direct intention of authorities to carry out the laws and statutes discussed within it. They believed that there was a plan in the works to try the actual (alleged) enemy combatants currently working within government, the media, and the corporate world for crimes against the nation and against humanity. According to the recent disclosure by the District Court of Washington D.C., it very much appears this plan exists. As we may remember, it was almost immediately after this conversation between Senator Graham and Justice Kavanaugh that the Democratic interests in the Supreme Court brought Dr. Christine Ford forward in an effort to halt Kavanaugh's confirmation. According to numerous researchers, the Democratic interests working for the Deep State were well aware of the implications of the above exchange as well, and they intended to derail it any way they could. This is reported to be the true reason behind the seemingly paid anti-Kavanaugh protests which erupted simultaneously to the Democratic action to oppose the Kavanaugh confirmation. According to research, this level of hysterics has never before been seen prior to a Supreme Court confirmation. Why would citizens suddenly be so emotional and so presumptuous about the fate of a man's life? Why, for so many years, did these same protesters, allow such a variety and extent of corruption and despicable behavior by public officials to go completely unanswered? Yet now that military tribunals look to be on the horizon for criminal Cabal interests, these activists show up out of nowhere and just so happen to be directly opposed to the progress. The laws behind this District Court release are very real. The source of the disclosure is as official as a source can be, and even though the corporate media has not done its due diligence of covering this story, it could very well be that the coming legal actions against the Deep State represent the biggest news to come forward in centuries of time. Though many people may still be unaware of the true nature of our current time, this point in history shows every sign of being a monumental turning point in human civilization. This civilization can either choose a path of freedom and respect for equality among all people, or we can cave to propagandistic manipulation and eliminate the concept of basic human rights from our society altogether. We can either learn from history or perish for our lack of willingness to simply read and remember that history. Whichever direction we choose will either benefit or doom civilization as we know it. For these reasons, the issues we are currently addressing are not merely social disagreements or political issues. They are issues of societal functionality and prosperity. Does a healthy civilization haphazardly adopt countless unproven standards forced upon them in rapid succession by unknown parties in a mere two-year time period without ever thinking about the consequences? Until now, such passive irresponsibility was seen as unwise and reckless. However, currently, this careless societal digression is apparently being forced on a previously functional civilization by the MSM. According to numerous reports, the powers that have exploited, killed, and destroyed millions of innocent people in foreign nations for years on end are the same as those who are currently attempting to destroy Western civilization. The same interests who launched propaganda campaigns, commissioned violent and destructive uprisings, and ultimately destroyed entire countries are the exact same Globalist interests that are presently attempting to destroy the United States. We know the method of these globalist criminals as regime change. First, the people are presented with a barrage of psychological attacks by the media designed to break the spirit, erode moral integrity, and then encourage the suggestible citizenry to imitate the dysfunction they see. The people are further made to hate the leaders of the country so that when the overthrow takes place, there is no one left to oppose the destruction. In every case, the suggestible citizens—in their manufactured outrage against the leader—are made to feel they are working for the good of humanity, but in reality, they are working toward their own destruction. This exact same diabolical formula of government overthrow has been applied to numerous, once-prosperous countries around the world. Yet, those who have chosen to avoid independent observation, failed to recognize simple patterns, and avoided learning from the past have actively assisted these global terrorists in their plot to destroy one last country. If this is true, this easily represents the qualifying emergency situation discussed above. If true, it requires our directed attention and cooperation in order to come to a swift solution. It would require a breakaway from the typical status quo, followed by a declaration of emergency and direct actions by the president, the people, and various appointed officials to handle the situation in a responsible, balanced, ethical, and effective way. Though such an act by officials would most certainly horrify anyone who adamantly swore by the Globalist-controlled media, the act would be highly crucial in ensuring that the U.S. and the rest of the West do not meet the same fate as other targets of Cabal/NWO/Globalist sabotage. There is much more to discuss on this topic—so much so that this article needed to be divided into at least two posts. We will see how far the subject carries, but in general, expect a part two to this discussion. 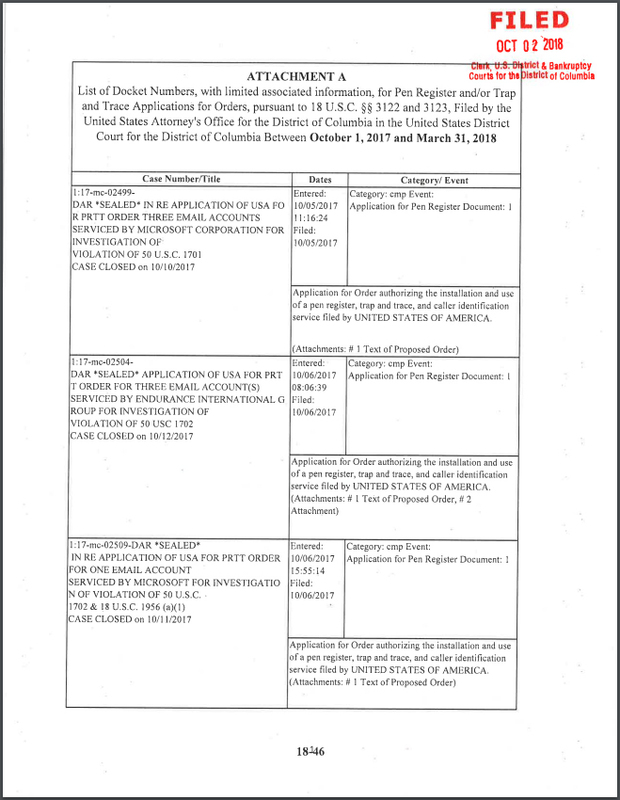 We still have not covered the major topics of this recent disclosure from the District Court of D.C. Some of the major subjects we have yet to address include money laundering, bribery of public officials, and fraud by wire, radio, and television. The concepts discussed within the recent disclosure even go into detail about the legal codes for the sexual exploitation of minors along with other deplorable crimes against humanity. 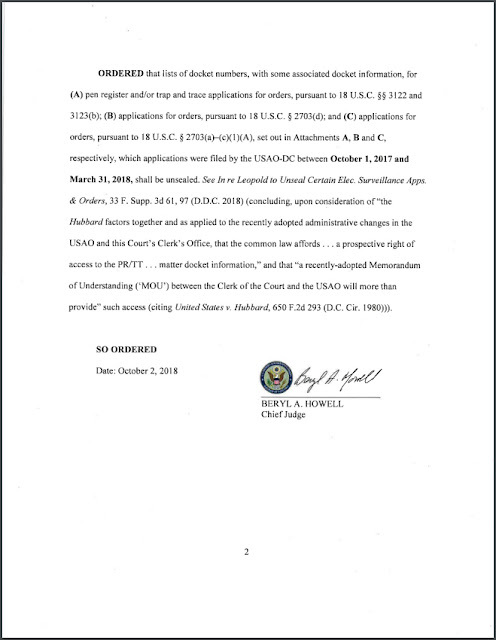 The fact that these legal codes are coming through an official source in D.C. not only tells us that direct efforts to prosecute thousands of perpetrators for these offenses are in the works, but it shows that enough corruption has been drained from the establishment that these legal actions are now allowed to be taken without significant interference from Deep State/Globalist/Cabal interests. If this is true, it may mean that the coming weeks and months will bring even greater revelations than these. For now, here is a list of the numerous legal codes referenced in the recent District Court disclosure. Feel free to research and double check them to ensure they are accurate to the referenced legal concepts.